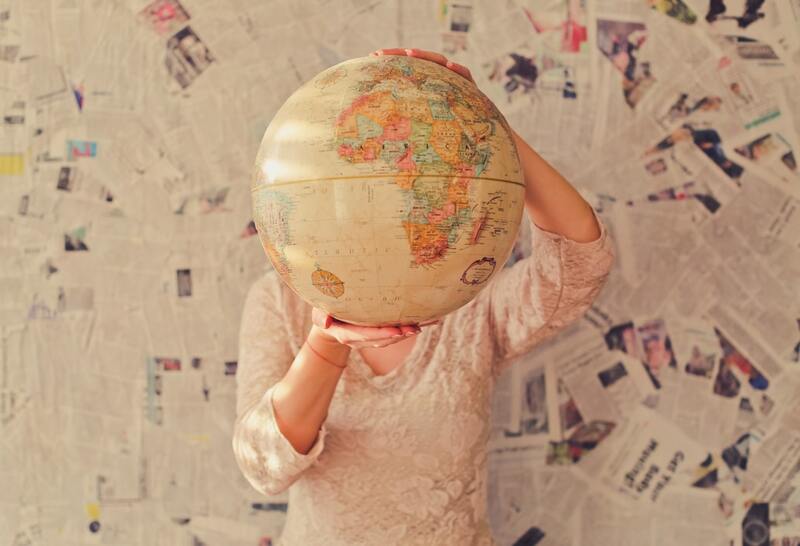 Shop smarter: Purchase from businesses that support eco-friendly and fair trade practices. Don’t be afraid to read labels and ask how something was made or what an ingredient is. Your weekly Publix trip isn’t just a chance to check off your grocery list; it’s a chance to show what you want to see more of in the market. Proper disposal: If you have chemical-heavy items such as used batteries, old cell phones, or paint thinner, Earth911 can help you find locations near you that accept and recycle all sorts of materials. Cleaning products: Rather than using paper products to clean, opt for sponges, washcloths, and towels, which are less expensive, reusable, and easily disinfected with hot water. Baking soda and vinegar are also great non-toxic, budget-friendly options! If the vinegar smell bothers you, follow it up with a bit of lemon juice. The stove: When you use a lid to cover a pot on the stove, you not only boil your water faster, but you can reduce your energy by up to two-thirds. And if you’re able to prepare multiple foods in the same pot, you can save energy as well. 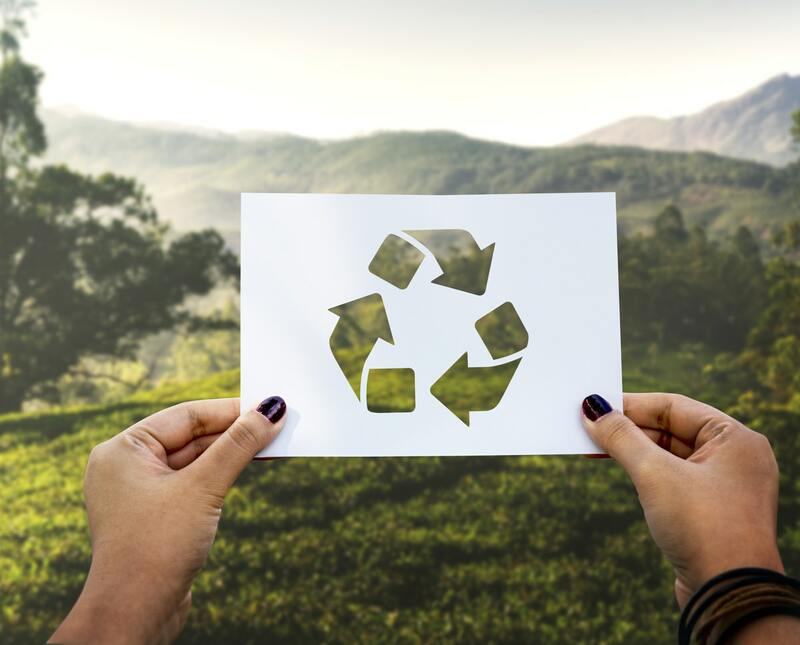 Get recycling: If you go to the America Recycles Day website, you can enter your zip code and join a community-wide recycling event close to you. Pest repellents: Did you know that coffee grounds are an easy eco-friendly alternative to pest repellents? Sprinkle these around ant-prone areas and you’ll reap the benefits without suffering from toxic fumes. Use rainwater: Create a simple, DIY rainwater harvesting system to collect water run-off for your lawn and garden. All it takes if a 50-gallon barrel, a filtering screen, and a spigot. You can collect up to 150 gallons with every rainstorm! When traveling: If you don’t wash your sheets and towels every day at home, why should you do it when you’re traveling? Leave the “Do Not Disturb” sign on your hotel room door to prevent the housekeeping staff from cleaning your room every day, which will help conserve cleaning supplies, water, and electricity. Power strip: Unplug your electronics when they’re not in use. If it takes too much time to unplug each device manually, use a power strip that can turn off multiple devices at once. St. Charles Borromeo, a private school in Orlando, is more than just a place to learn; it’s a community. Our staff is committed to proclaiming the Gospel Message of Jesus Christ. We believe in teaching the whole child and want students to love learning, helping them grow into well-rounded, contributing members of society. Learn more about us by contacting us here. The Easter season and Holy Week are sacred, important times of the year. It’s an opportunity for us to remember the last week that Jesus spent walking on Earth and prepare our hearts for His return. Each day of Holy Week is special, and by understanding the importance of Holy Saturday, we can fully appreciate the sacrifice He made for us. What Happened on the First Holy Saturday? Holy Saturday is a day of both joy and sadness as we reminisce on the day that Jesus laid in the tomb. Luke 23:56 mentions that the women returned home “and prepared spices and ointments. On the Sabbath they rested according to the commandment.” Pontius Pilate instructed guards to be posted at the tomb to ensure that the disciples wouldn’t steal His body. This was the only Saturday on which fasting was permitted in the early days of the Church. 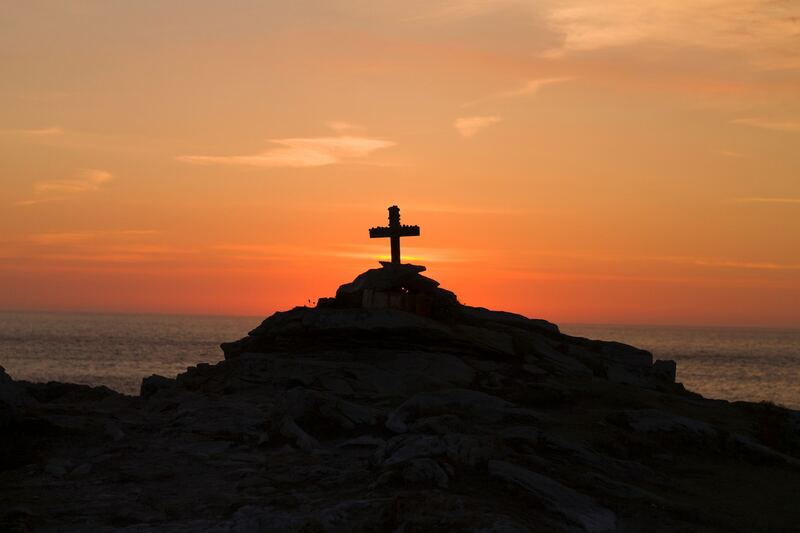 In the second century, people fasted for the entirety of the 40-hour period between nightfall on Good Friday and dawn on Easter Sunday. In the reign of Constantine in the fourth century, the tradition of the vigil began. At dusk, the vigil began with the lighting of the “new fire,” which included a large number of lamps and candles and the Paschal candle. The Paschal candle is made of white wax, marked with a cross and an alpha and omega, and represents leading people out of the darkness and into the celebration of the Easter vigil. What Happens at the Easter Vigil? When we celebrate Holy Saturday with the Easter Vigil Mass, we meditate on God’s good works and thank Him for the price Jesus paid. In the early church, Holy Saturday and the vigil of Pentecost were the only days baptism was administered. While we don’t follow that now, the Easter Vigil Mass is still an important night for those who have spent months of preparation to be received through Baptism and Confirmation into the Church. St. Charles Borromeo, an Orlando Catholic school, is more than just a place to learn; it’s a community. Our staff is committed to proclaiming the Gospel Message of Jesus Christ. We believe in teaching the whole child and want students to love learning, helping them grow into well-rounded, contributing members of society. Learn more about us by contacting us here. When we think of Lent in the United States, we often think of abstaining from meat, giving up something we enjoy, or adding in a spiritual practice. But there’s a huge range and variety of Lenten (and Pre-Lenten) traditions in other cultures! Find out a bit about what the rest of the world enjoys during this Holy season. In Denmark, locals celebrate “Fastelavn” the Sunday before Lent begins. On this day, everyone enjoys eating cream or jam-filled pastries, and children dress up in costumes and beat a barrel filled with candy (similar to a piñata). The two children who successfully break the barrel open are crowned “Cat King” and “Cat Queen.” Believe it or not, this is because the barrel didn’t always hold candy — it used to hold a live cat! Did you know that the British Isles have a long-famous Lenten tradition of eating hot cross buns? The cross marking on the bun symbolizes Jesus’ crucifixion, while the spices in the dough represent His embalming. “Kathari Thetera,” or Clean Monday, commences the Lenten season. The Sunday beforehand, people attend a special evening Mass and ask for forgiveness to start Lent with a clean soul. This holiday also signifies the end of a month of carnival celebrations that take place throughout the country leading up to Lent! Clean Monday is a public holiday, and families enjoy the day at the beach or countryside, often flying kites. What we know as Holy Thursday, Maundy Thursday commemorates Jesus’ last supper with His Apostles. This day is called Green Thursday (or Grundonnerstag in Germany). There are a variety of speculations as to why this is, but a common one is that since we’ve historically abstained from eating meat, this day is full of green foods and vegetables. Pancake Day, or Shrove Tuesday, is a day to indulge and feast before the beginning of Lent. But it’s not just about eating pancakes — in Britain, locals enjoy pancake races every year! Members of Parliament and the House of Lords compete in an annual charity race around Victoria Gardens, and each contestant must complete a full lap without dropping the pancake out of their frying pan (although many admit to stuffing extra pancakes in their pockets), all while wearing an apron and white chef’s hat. 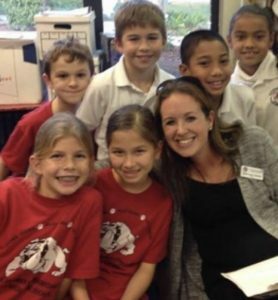 St. Charles Borromeo, an Orlando private school, is more than just a place to learn; it’s a community. Our staff is committed to proclaiming the Gospel Message of Jesus Christ. We believe in teaching the whole child and want students to love learning, helping them grow into well-rounded, contributing members of society. Learn more about us by contacting us here. 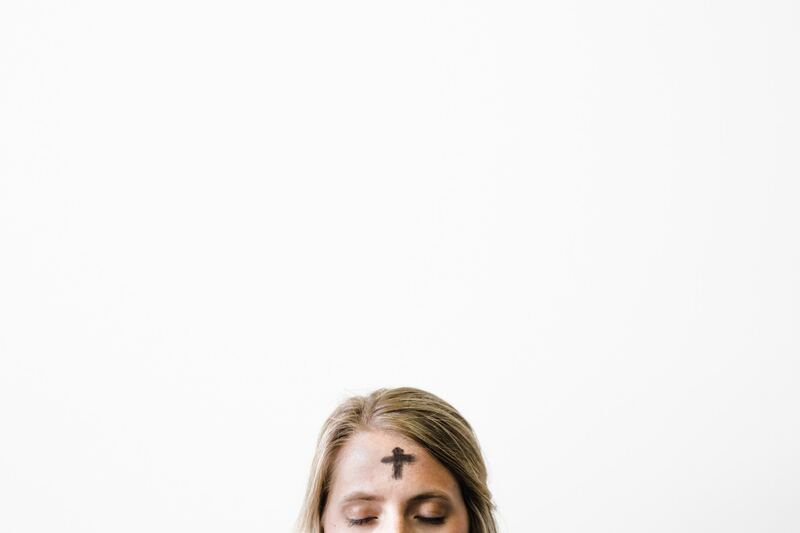 Every year, we gather on Ash Wednesday to receive ashes on our forehead — but do we truly understand the importance of what we’re doing? Learn more about Ash Wednesday and how we prepare for the Easter season and Jesus’s resurrection. Ashes help us remember Genesis 3:19, which tells us that we came from dust, and to dust, we will return. We participate in recognition that we need to repent, turn away from our sin, and be faithful to the Gospel. Ashes serve as a reminder that we are given eternal life through the sacrifice of Jesus. Where Do The Ashes Come From? The ashes that mark your forehead come from the blessed palm branches that were used for the previous year’s Palm Sunday Mass. The ashes are sprinkled with holy water and blessed with prayers that are thousands of years old. Palm Sunday marks Jesus’s triumphant entry into Jerusalem, and everyone gathered to celebrate his arrival by waving palm fronds. This was the beginning of the final seven days of Jesus’s earthly ministry. Ash Wednesday signifies our preparation for Holy Week and the resurrection of Jesus. We come to God and ask for mercy, forgiveness, and compassion, and we repent of our sins. By doing so, in 40 days, we are able to celebrate Easter with the joy that God intended! In the Middle Ages, ashes were not drawn in a cross on the forehead; they were sprinkled across the head. Now, we leave them on our head as a sign of humility. This is a great opportunity to talk to the people in your life about your faith! Since 1990, Mary Anne Patchett has been a proud member of the St. Charles Borromeo family. 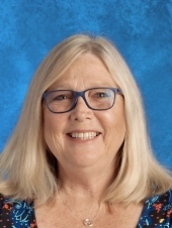 Learn more about Ms. Patchett, her love for teaching, and her passion to transform students into compassionate, responsible leaders of the future. I was born in Daytona Beach and grew up in Longwood, FL. I teach 6th-grade World History, 7th-grade Civics and Government, and 8th-grade U.S. History. In college, I worked in a film lab, so photography is definitely a hobby of mine! Besides that, I love the beach and I love to travel, and it’s wonderful to travel to places that you teach about. A few years ago I went to Greece and to be able to share my experiences with the students is incredibly valuable. I’ve been to England, Ireland, Italy, and Greece. It’s hard to pick a favorite! They’re all so unique. Egypt is on my list next. When did you know that you wanted to become a teacher? Teaching wasn’t a plan until I was maybe in high school or college; it was a slow process! But I found out that it was something that I was good at and really enjoyed. I actually started off teaching elementary school. I’ve only been in middle school for 5 or 6 years, but I taught 5th grade for close to 20 years before this. What’s your favorite thing about teaching social studies? I think what’s interesting — especially when we talk about the government — is that it’s constantly changing. When we talk about elections and current events, it’s important that we prepare [students] for the world they’re going to be living in and responsible for. We teach them that they’re going to be important leaders and forces of change. How do you engage your students in the learning process? I engage the students by showing them respect and expecting it in return. It’s important that they know that you love them and that you care about who they are as individuals. I try to build relationships with them, and I teach with a loving firmness and mutual respect. Sometimes they’ll surprise you! And sometimes you have to remind them that they know more than they think, and they shouldn’t underestimate themselves. Their opinions mean something, and they should keep striving for their best. What do you hope your students take away from being in your classroom? I hope they’re able to think on their own and problem solve. They’re going to be working in jobs and careers that don’t exist yet, and I want them to know that what I did for them was out of love and respect. Teachers want to see success; teachers want to see our students do well, and that’s my goal. As a College Park private school, our staff is committed to proclaiming the Gospel Message of Jesus Christ. We believe in teaching the whole child and want students to love learning, helping them grow into well-rounded, contributing members of society. Learn more about us by contacting us here. On March 31, 1954, a parish was established in College Park and named St. Charles Borromeo. Less than a year later on January 24, 1955, St. Charles Borromeo Catholic School opened as a junior high school. With an initial enrollment of 65 students in grades 7, 8, and 9, we’ve grown substantially over the years and now teach over 300 students. While our numbers may have grown, we’re proud to offer the same exceptional education that has made us a pillar in the Catholic community. 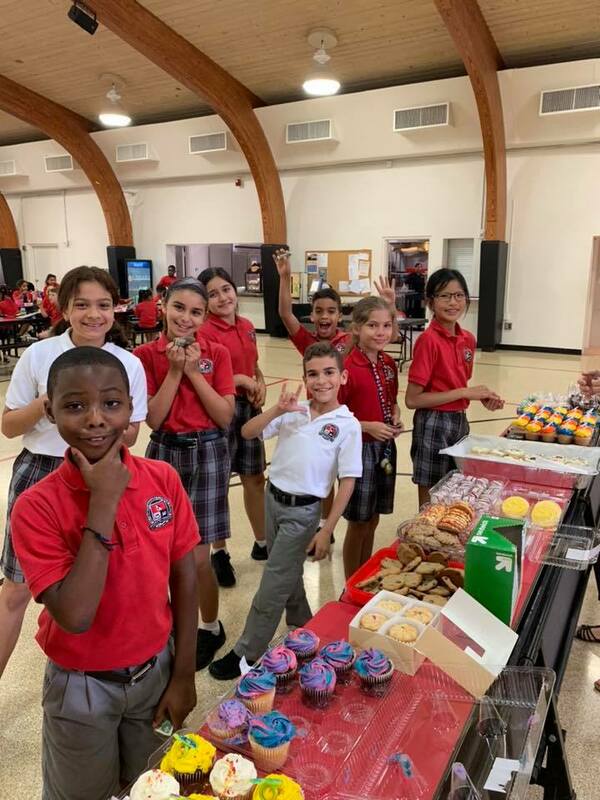 After Hurricane Michael hit, our fourth graders wanted to help and hosted a bake sale to aid those in need. All proceeds went to Catholic Charities of Central Florida to assist with the recovery efforts from Hurricane Michael. On October 2, 2007, St. Charles Borromeo Catholic School was named by the U.S. Department of Education as a 2007 Blue Ribbon School, one of only 287 in the nation to receive this honor. Parents are the primary educators of their children, and we believe that it’s truly a privilege to be a part of each student’s learning experience. We are proud to partner with you to help your child grow into a confident, capable member of society. We offer a challenging, rigorous curriculum that challenges students to embrace their full potential, gives them a solid academic foundation, and helps them develop their God-given talents. Our instructors create a safe, comfortable, and healthy learning environment. In this environment, students have the opportunity to grow into enthusiastic, lifelong learners. Teachers get to know each student as an individual and offer differentiated instruction, understanding that students learn in a variety of ways. 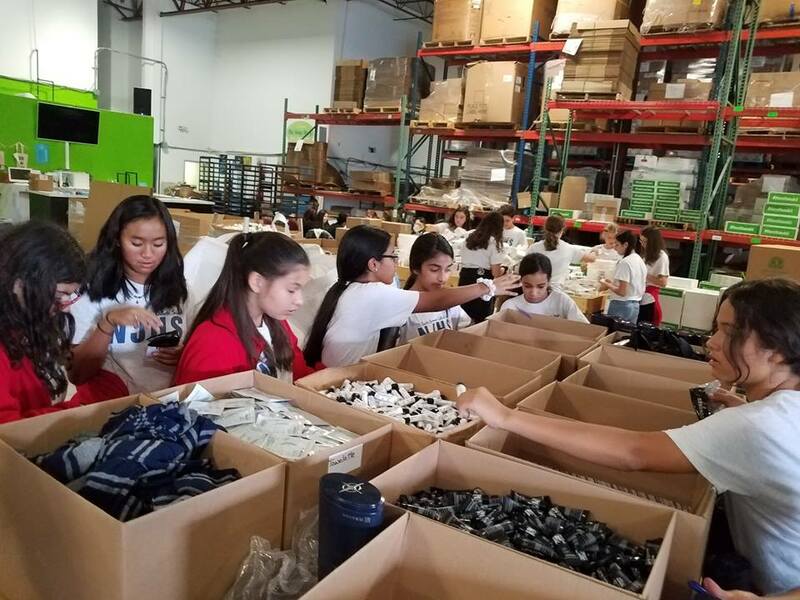 Our National Junior Honor Society members went on a service trip to Clean the World in Orlando. Thanks to our partnership with Catholic Youth Sports, students are encouraged to participate in a variety of athletic activities from Kindergarten through 8th grade! Sports and team participation teach valuable lessons that are crucial to future success, such as leadership, teamwork, communication, self-discipline. Our students’ spiritual health is one of our top priorities. Faith is truly incorporated into our daily lives. Between religion classes, monthly and weekly Mass, retreats, daily prayer, and serving the world around us, St. Charles students learn that faith is more than words; it’s about the social responsibility we have as Catholics. We must show others the love of Christ every day. 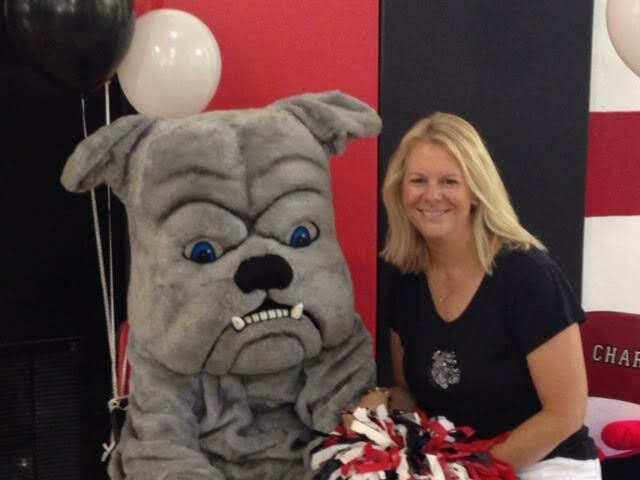 Kindergarten teacher Margaret Borello loves being a part of the family at St. Charles Borromeo! Get to know her and how she brings her passion and experience to our institution. I was born in Pittsburgh, PA. At the age of 10, my family relocated to Fort Lauderdale. I remained in South Florida until three years ago when we moved to Lake Mary. From what school did you graduate? What was your major? I received my Bachelors of Arts Degree from Stetson University. I was a music major at first but then changed to Elementary Education. Years later, I received my Master’s degree from Barry University in Educational Leadership! I am a lucky mother of three wonderful daughters and a blessed grandmother of three incredible grandsons! My youngest daughter [just gave] me my first granddaughter, and my eldest blessed me with another grandson for Thanksgiving. My favorite thing to do is to be with these babies. My favorite book to read when I was young was The Lion, the Witch and the Wardrobe by C.S. Lewis. I enjoy the Harry Potter series and one of my favorite books is The Five People You Meet in Heaven by Mitch Albom. I’ve always wanted to be a teacher. For a brief time, I had dreams of being a pop singer, but I always knew I would teach in some way! I’ve been teaching for 30 years, and I’ve taught everything from pre-kindergarten to fifth grade (excluding fourth). I’ve had the pleasure of training and working with teachers through Nova Southeastern University as an Early Childhood Training Facilitator, and I’ve also substituted for high school. Who was your favorite teacher growing up? I think my favorite teacher was Mr. Hudson in the fifth grade. He made math so much fun that the “light bulb” finally went off and I got it! However, my inspiration was my music teacher in middle school, Mr. Mel Arnold. He was an incredible musician and loved sharing his gift with his students. In his spare time, he taught music therapy to special needs students. He gave me my first flute — it was his when he began playing. What’s your favorite thing about teaching kindergarten? I love to teach kindergarten because of the excitement the children bring to school. They can’t wait to learn, and you can literally see when they understand something for the first time. I try to engage my students with activity, music, and movement. I want my students to not only learn the curriculum but most importantly gain a love for learning. If they love it, there is no stopping them! The most rewarding part of my job is seeing the joy in my students’ faces when they’ve mastered a concept for the first time, or written their first story, or even when they have met a new friend. I hope my students leave my classroom with a love of learning, a yearning for more, and a kinder heart! There are many lessons we can take from the Bible. These stories teach us about forgiveness, obedience, patience, leadership, kindness, love, and courage, and through them, we discover how we can share the love of God with others. The Bible addresses humility in a variety of places. Philippians 2 says that “in humility, [we should] count others more significant than yourselves.” Jesus, although He was the son of God, was born into nothing and offered Himself as a servant and friend to society’s outcasts. Philippians 2 also instructs us to place the needs of others first and to do nothing selfishly. We can also learn about humility from Moses. In spite of his impressive accomplishments, the Bible describes Moses as “a very humble man, more humble than anyone else on the face of the earth” (Nm 12:3). Moses led the resistance against Pharaoh, triumphed over him, and led the slaves through the Red Sea and the desert to freedom in the promised land. Throughout all of this, Moses stayed modest and humble. He never showered himself in praise or asked others to give him credit for God’s work, and this is important for us to remember. 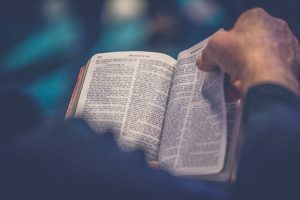 The Bible in Psalm 116:5 tells us that our “Lord is gracious and righteous; our God is full of compassion,” and Colossians 3:12 reminds us that as God’s people, we are to “clothe [ourselves] with compassion, kindness, humility, gentleness, and patience.” Compassion is about more than taking pity on someone or feeling bad for them; compassion should drive us to action. And Jesus models this for us over and over again. Again in Mark 6:34, Mark 8:2, Matthew 9, and Matthew 14:14, scripture tells us that Jesus was moved with compassion for these crowds that were “harassed and helpless, like sheep without a shepherd,” hungry with nothing to eat, and full of the sick and disease that needed His healing hand. Whether it was feeding, healing, providing, or calling others to serve, Jesus’s compassion always led to action. As followers of Christ, we must be the same way. As a Catholic school in Orlando, our staff is committed to proclaiming the Gospel Message of Jesus Christ. We believe in teaching the whole child and want students to love learning, helping them grow into well-rounded, contributing members of society. Learn more about us by contacting us here. Even when she was young and living in the tiny town of Ponca City, Oklahoma — a town so small that there wasn’t even a McDonald’s until she turned 13 — Karri Gomez knew exactly what she wanted to do with her life. Over the years, Gomez watched her family make a difference in their students’ lives and became inspired to do the same in her future classroom. She believes that every experience you have molds you. She moved around frequently as a child, and those experiences strongly affect her approach to teaching. 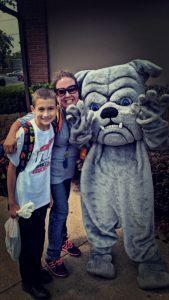 She’s conscious of how every child feels in her classroom and remembers what she would have wanted as a new student. In Gomez’s classroom, she makes the curriculum come alive, whether it’s through solving exciting “classroom crimes” with interactive clues or by sharing funny, relatable stories. You’ll never find her at her desk; she’s constantly involved with her students, joyful as she watches them discover new information. Throughout the year, Gomez gets to know each student as an individual and encourages them to push through challenges. It’s important that each child understands how capable they are and that they can always lean on the Lord, because He will always be there for them. As an Orlando private school, our staff is committed to proclaiming the Gospel Message of Jesus Christ. We believe in teaching the whole child and want students to love learning, helping them grow into well-rounded, contributing members of society. Learn more about us by contacting us here. Christmas season is right around the corner! Our Orlando private school community is excited for the upcoming festivities to celebrate Jesus’ birth. But before then, we want to take time to observe Advent. This is the perfect time to slow down, focus on the meaning of the season, and deepen our relationship with Christ. Between holiday parties and social commitments, Christmas is often a loud and busy time. In contrast, Advent is a time to be quiet! Dedicate the beginning of each day to nurturing your relationship with Him by praying for a friend, reading your favorite Bible story, or listening to your favorite worship music on the drive to work. An Advent wreath represents Christ’s eternal love for us. On the wreath, there are four candles: three purple and one pink. There’s also a white candle in the center of the wreath. The purple candles represent our preparation for the Messiah through things such as prayer and fasting, the pink candle represents our joy for His coming, and the white candle — also called the Christ Candle — represents His purity and ability to wash away our sins. The colored candles are lit each Sunday to remind us of the light Christ delivers compared to the darkness of sin. God calls us to serve others, and Advent is in the heart of the giving season! There’s a surplus of giving opportunities around the holidays, so consider donating your time to serving your community. If free time is scarce during the busy holiday season, you and your family could also set money aside to give toward the charity of your choosing. Sometimes what we need is a small dose of nourishment through a devotional. This can be done on your own, or you can gather friends and family to complete the devotionals together. You may be surprised how many people would love some company while digging into the Bible! You can hold each other accountable, help answer each other’s questions, and encourage one another when you become frustrated or confused. 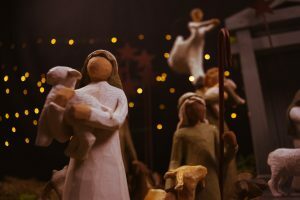 Children greatly benefit from observing the Advent season! If you don’t already have nightly Bible time, Advent is an excellent opportunity to spend evenings talking about the Bible together. As Christmas gets closer, spend your time reading about the birth of Jesus, and talk to your children about what we can learn from Advent.